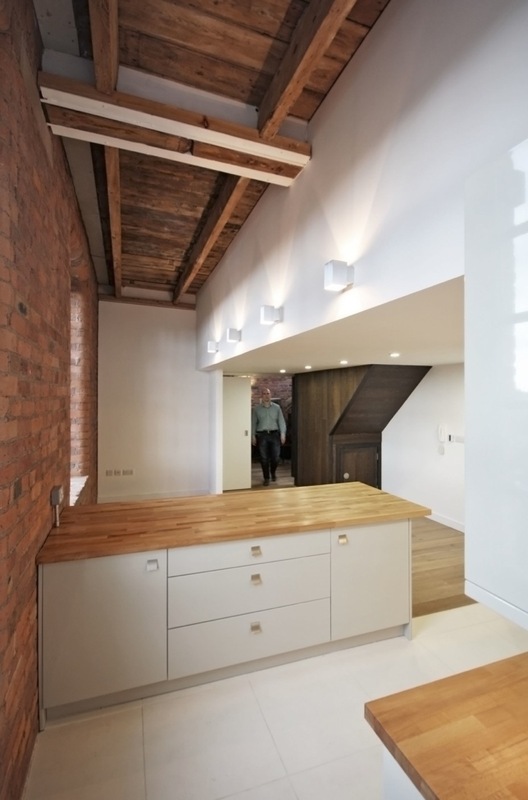 The new apartment is arranged over two levels within Albert Mill, a Grade II Victorian mill building in Castlefield, Manchester. 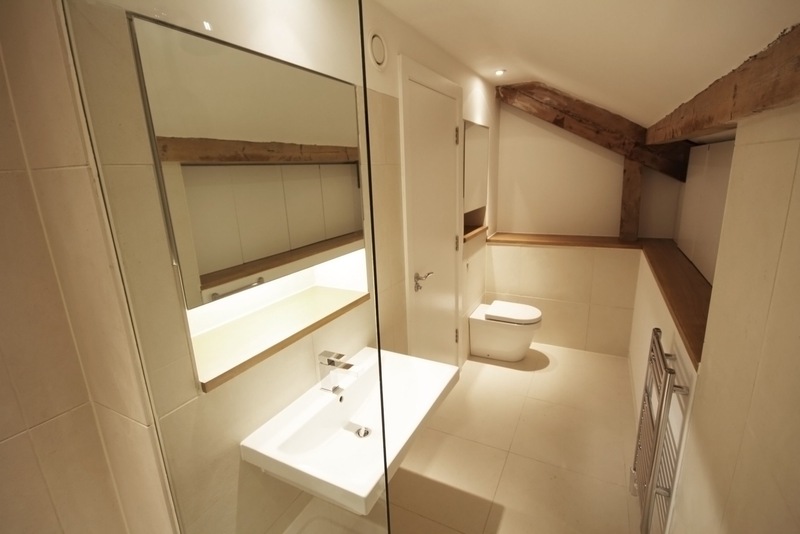 It comprises, on the entry level, a lobby, hallway, bathroom, bedroom, double height living room, dining/kitchen area, and a utility/store room; two further bedrooms and an ensuite bathroom occupy the upper level. 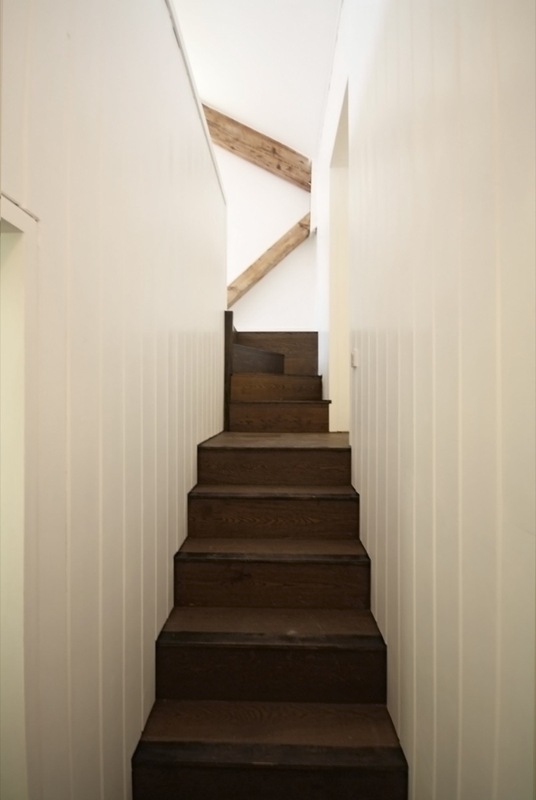 Each bedroom is accessed via its own stair so as to remove the need to adapt the impressive existing timber trusses in any way. 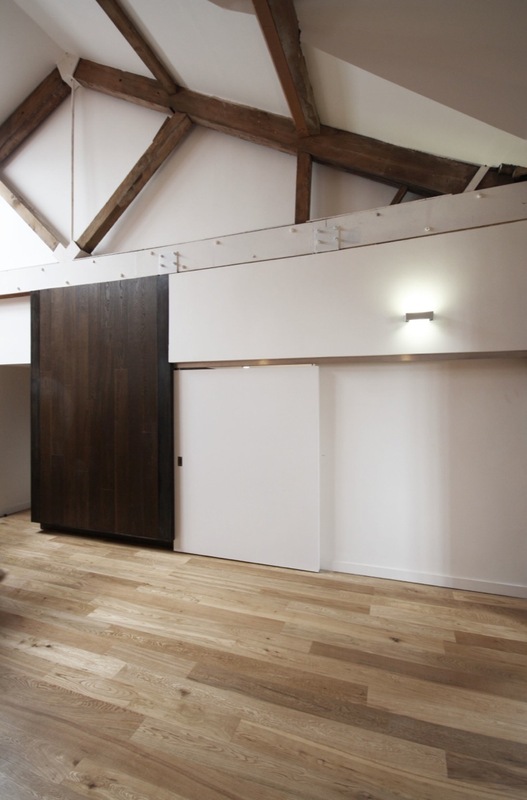 To allow an ensuite to be provided to one of the upper floor bedrooms an area of the upper floor was locally lowered to allow a new timber platform to be suspended between the trusses using steel hanging legs bolted through the bottom chord of the trusses. 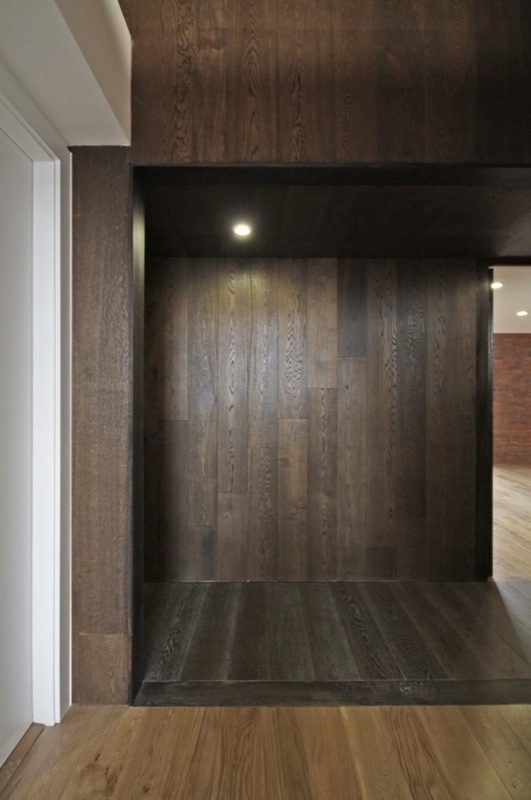 The layout seeks to express the quality of the existing building fabric whilst at the same time accentuating what’s new. 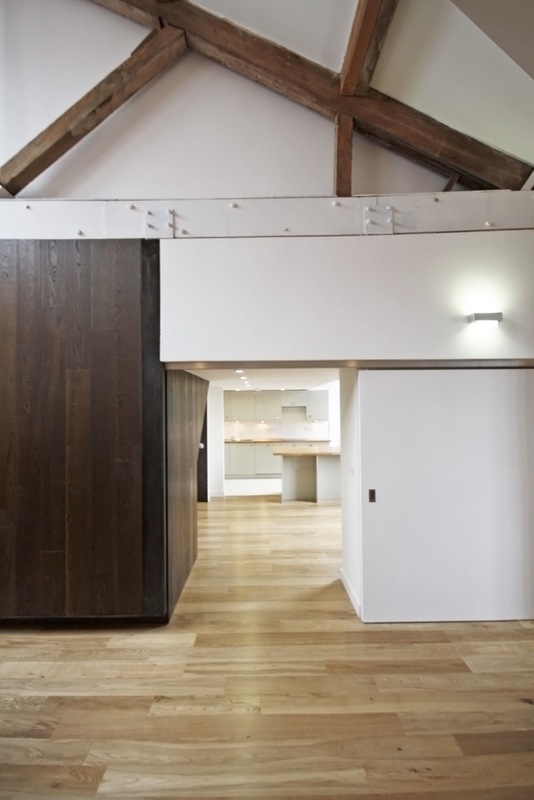 Where possible new walls have been offset from existing joist positions so the existing fabric can be clearly seen. New walls have also been offset from the lines of the trusses so the whole truss can be read from one side and structural junctions are maintained as legibly as possible. 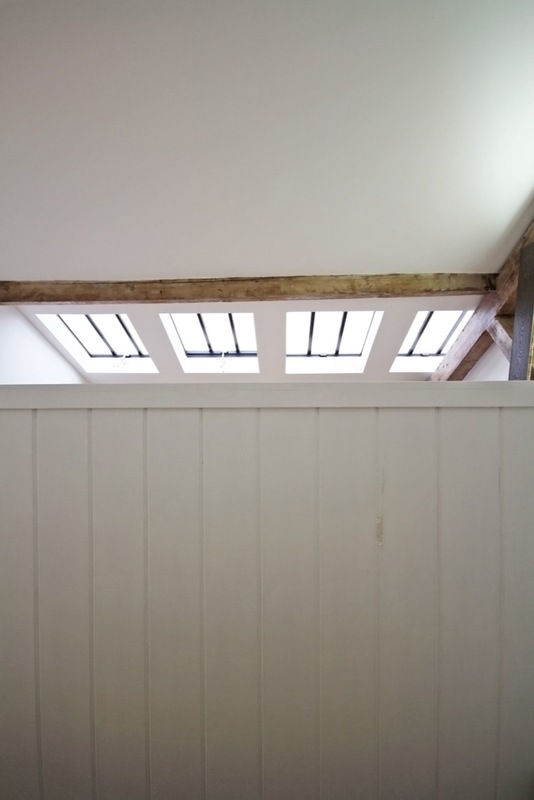 The open structural timber boarded soffit of the existing upper floor construction was maintained and where new ceilings were required they were set down from the existing soffit so that the existing timber soffits were not hidden from view as they sail over the new insertions. 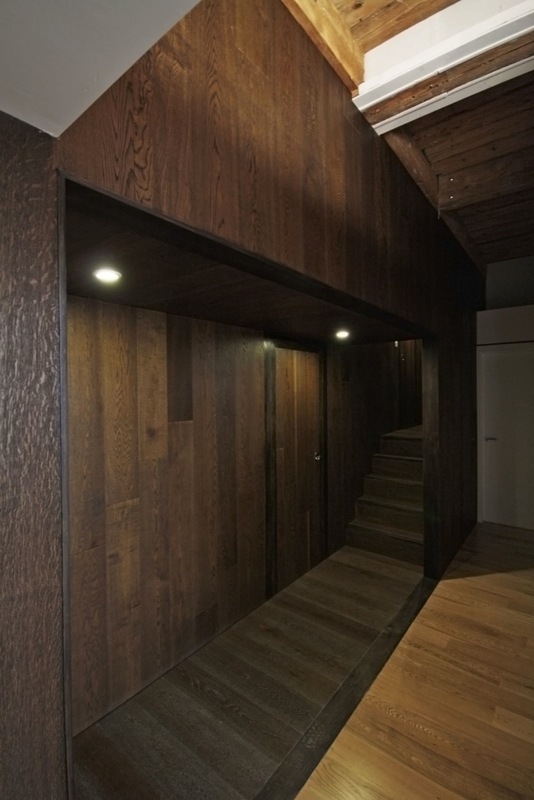 The layout introduces two new stairs that are contained within a central, linear, timber clad box element. This is designed to be seen as ‘hovering’ in the volume, not perceived to be heavily connected to the existing fabric and therefore not clashing with it. 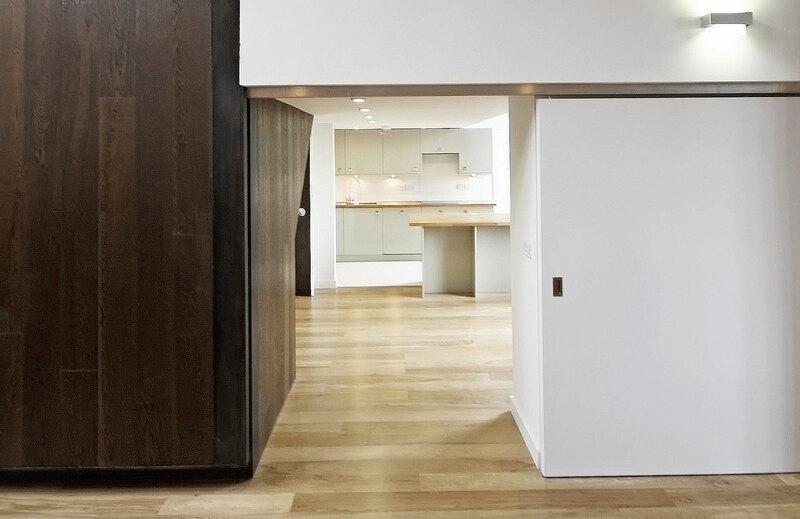 It is intended that this box is to be readily distinguished as a modern insertion and is to be an element visible from all rooms providing a focal point or ‘core’ to the apartment that allows easy orientation.